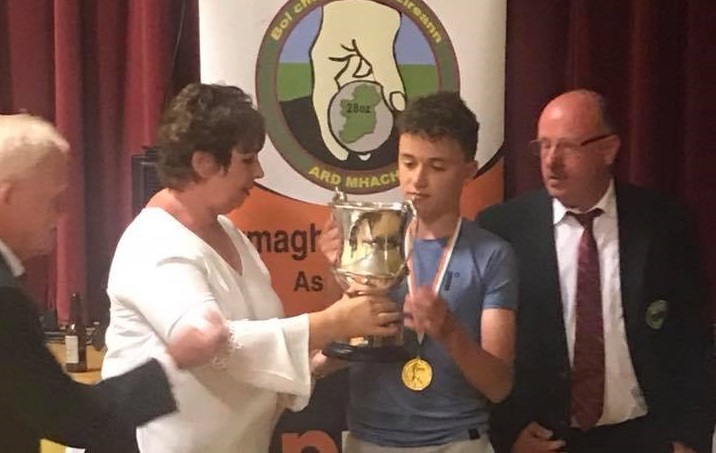 What a fantastic achievement for Jamie Kelleher of Kilcorney, who yesterday won the Under 14 All-Ireland Road Bowling Championships in Tullysaran, Co. Armagh, beating his opponent Nial Stevenson of Armagh by two bowls. 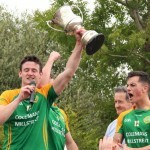 Homecoming for Jamie is tonight (Monday) at 8.30 at Healy’s Bar. All welcome. 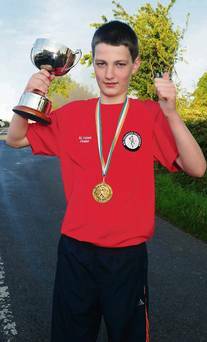 TaeKwon-Do: Well done to Fergal O’Connor of Millstreet TKD Club won bronze in Full Contact and bronze in Continuous in the under 17s /65 kg section at the WKU Kickboxing Worlds in London on Aug 29th. 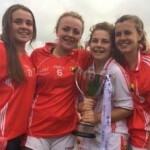 Camogie: Congrats to Alanna Barry who brought home a National League medal with the Cork Senior B team who defeated Down by 1-12 to 2-6 in Clane. 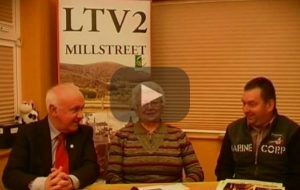 Rallying: Rally of the Lakes: Denis Moynihan from Ballydaly won the Historic Section of the Rally,its a counting round of the Prestigious European Historic Rally championship and attracted entries from all over Europe. Mark Falvey was running in second place in this section as well until he retired on Sunday. Denis Moynihan / Gerard Conway – 1st in the FIA Historics. Road Bowling: (Kilcorney) 12/01/14 Kevin Ruby bt Tim Connors €200; Tim Connors bt Kevin Ruby €120 Kevin Ruby bt Danny Flood l/s €400; Danny Flood bt Kevin Ruby l/s €400. Road Bowling: Tom Browne won the Gerald Healy Cup final at Kilcorney where he beat Kevin Ruby in the last shot (1st Dec). 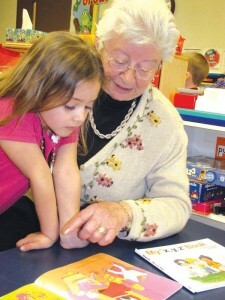 They were locked together in the early stages. Browne gained odds down the hill and went almost a bowl clear at Coleman’s bridge. Ruby cut the lead to Cullinane’s and pressed on to force a last shot. Rallying: Best of luck to Charlie Drake who has been appointed to the New South Wales Rally Committee to try and improve and rebuild the sport over there. 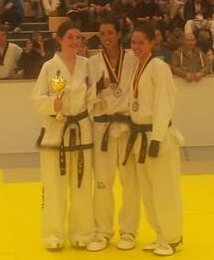 Congrats to Triona O’Sullivan and Joshua O’Sullivan who won gold medals at the Irish International TKD Championships, last weekend (23rd Nov). 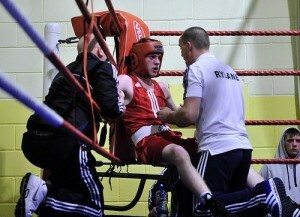 Triona won three gold medals in Tul, Sparring, and a team gold, while Joshua who won a sparring gold [article & photo]. Road Bowling: Kilcorney 17th Nov: Frank Kiely/ Darren Burns bt Eamonn Sweeney/Vincent Kiely 2bwl €1080; Vincent Kiely bt Frank Kiely l/s €700. 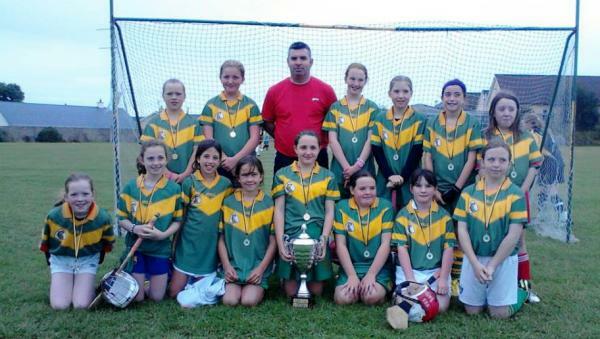 Camogie: Congratulations to the Millstreet won the Avandhou U11B League in Newtownshandrum on August 24th. 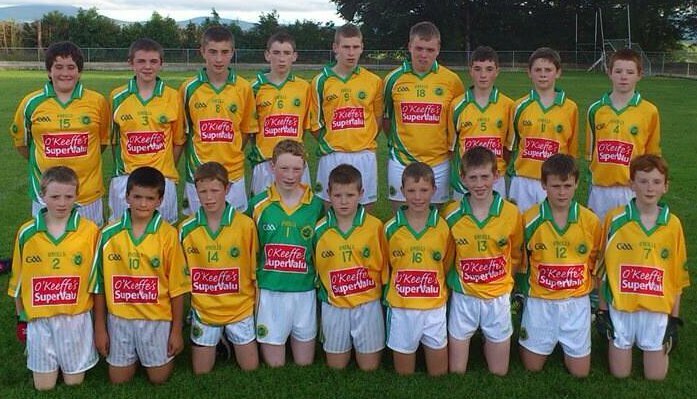 GAA: * U21 A FC Round 1: Blackwater Gaels 3-8 Millstreet 0-5 (HT 2-4 to 0-11) @ Knocknagree, 8pm Friday March 8th. 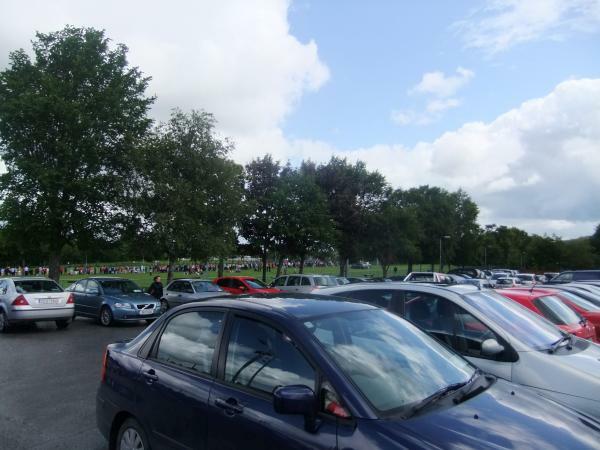 Bowling: (Kilcorney): Kilcorney: Dermot Twomey bt Bobby Healy 1bwl €700; Danny Murphy bt Donal Cullinane l/s €300.